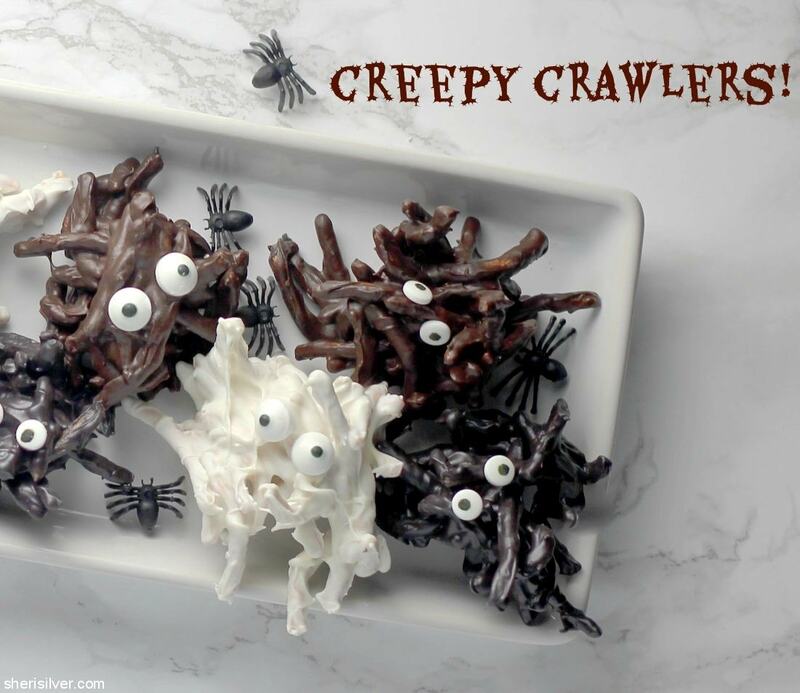 If you’re looking for a quick and easy treat – one that the kids can help with, and one that is virtually impossible to mess up – then this is the treat for you. And the sky’s the limit in terms of how you adapt it – you can’t go wrong, no matter what! 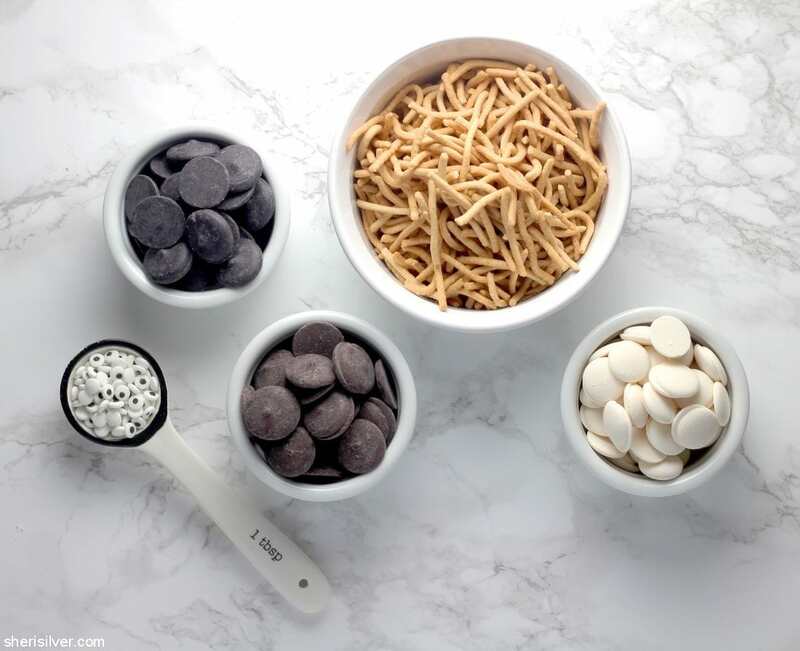 Start with chow mein noodles (the fine, crunchy ones that typically come in a can), your choice of chocolate chips or melting wafers, and – of course – candy eyes. And go from there! You can use gluten-free noodles (yes, they exist!) if you like, or dairy-free chocolate chips to make these a vegan treat. And you don’t have to stick with chocolate chips, either! You can substitute with peanut butter, butterscotch or even cinnamon chips if you prefer. And mini M&M’s or red hot candies can be used in place of the candy eyes. 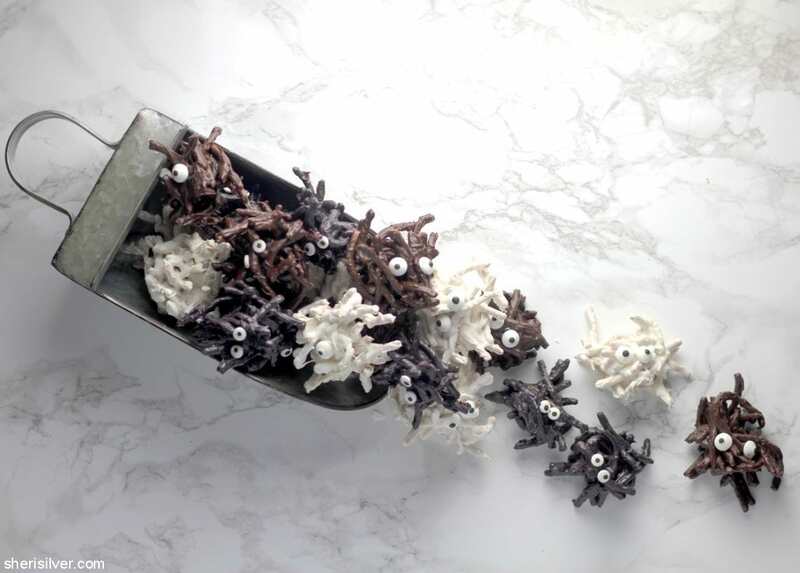 And though we’re obviously going for the major cute factor here, these little guys are super tasty too – I love the crunch combined with that never-fail salty-sweet flavor. I’m telling you, it’s ALL good. Line 2 baking sheets with parchment paper. Melt the white wafers in a bowl set over a pan of barely simmering water. Remove bowl from heat and add one-third of the noodles. Toss to gently but thoroughly coat. 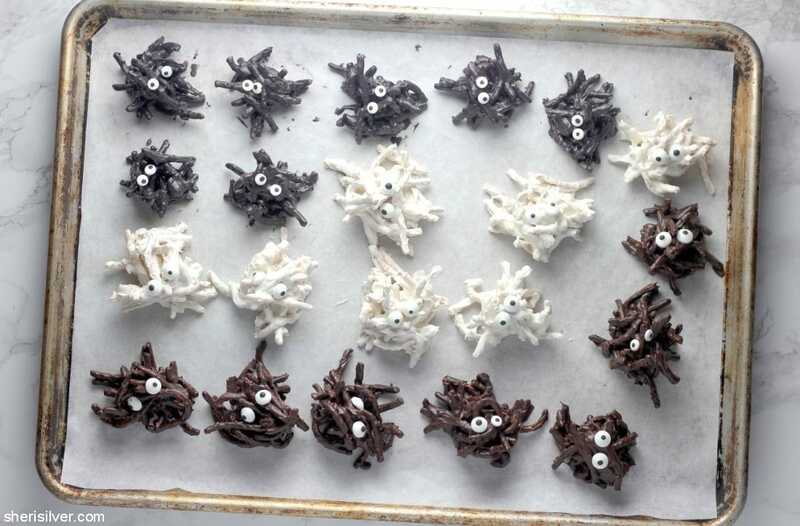 Use a teaspoon or tablespoon to scoop mounds onto your prepared baking sheet, and add 2 eyes to each mound. Wash and dry the bowl. 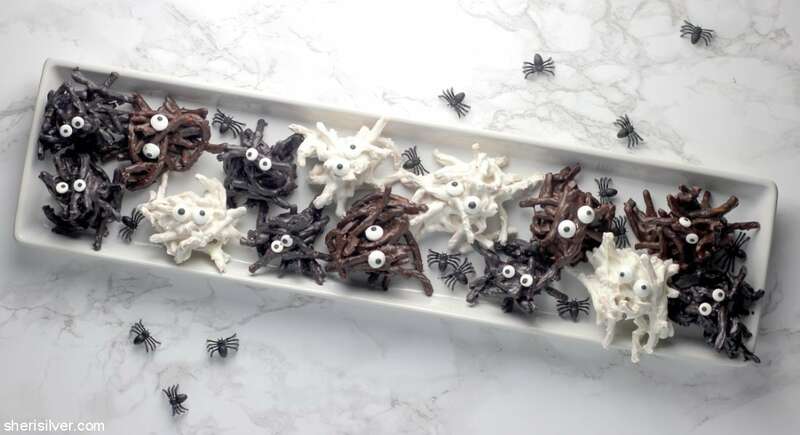 Repeat with remaining noodles, wafers and eyes, and allow the crawlers to set before serving. Store at room temperature in an airtight container. More Halloween inspo, snack ideas, vegan recipes and gluten-free treats on Pinterest!